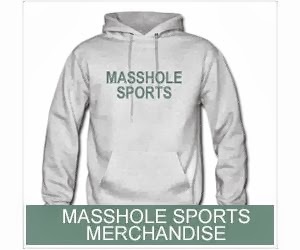 Masshole Sports: VIDEO: In Honor Of Mumbles Menino Stepping Down As Mayor Of Boston, Here Are His Classic Sports Screw Ups One More Time...For Old Times Sake. VIDEO: In Honor Of Mumbles Menino Stepping Down As Mayor Of Boston, Here Are His Classic Sports Screw Ups One More Time...For Old Times Sake. There was that one time he referred to Vince Wilfork as, "Wilcock" while wearing his jersey. There was that time he called KG and Rondo, "KJ and Hondo." One time he referred to Gronkowski and Welker, "Grubowski and "Wes Weklah." After the Bruins won the Stanley Cup, he called them "great ballplayers" on and off the ice. There was that time said he wanted to see the "World Series Cup" come back to Boston. Thanks for the memories, Mr. Mayor. You will always be wicked pissa in my books. The Kevin Garnett Tribute Video Was Pissa Too. REPORT: Jonny Gomes Plans On Shaving His Beard. The Denver Post Is Getting Douchier By The Day. The Denver Post Is Pretty Ballsy, Huh? So, I Guess Rajon Rondo Is Returning On Friday. SHOCKA! The Broncos Actually Beat The Chargers! So, How About That LeGarrette Blount Guy. I Wonder If "Andrew Lucking" Will Become A Thing. Some Thing Just Never Change In Indianapolis. I Am So Friggin Ready For This Game. Call Me A Greedy Prick, But This Has To Be Said. This Will Probably Be My Next Celtics Jersey. At Least We Got To See A Fight.